Introduction: Many long time fans fondly remember the movie, Touched By Love. Based on the book, To, Elvis, With Love, by Lena Canada, it tells the story of a special relationship between a terminally ill young girl, Karen, her compassionate nurse, Lena Canada, and Karen's inspiring pen-pal friendship with Elvis. Undeservedly, Touched By Love is a film that newer Elvis fans probably haven't heard of. A tearjerker in the classic Hollywood tradition, it only received limited theatrical release and its 1987 release on video was equally shortlived. Touched By Love featured stunning Canadian rocky mountains scenery and a stellar cast including Hollywood star, Deborah Raffin, future Hollywood star, Diane Lane, Michael Learned (The Waltons), John Amos (Good Times) and Clu Culagher (The Virginian). Released in theaters in 1980 and briefly on video in 1987, this largely forgotten movie is, sadly, yet to see a DVD release. For those of you with a video copy, or those of you who may get to see it, a warning.........don't forget the tissues! You will need them! 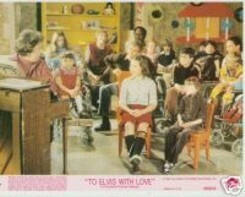 One of the children who co-starred in Touched By Love, Melissa Quigg (shown opposite.......who played Vicki, the young cute child in glasses), herself a sufferer of cerebral palsy, recently contacted EIN and agreed to the following interview.......and provided EIN with several archival visuals relating to the film! Read EIN's book review of "To Elvis, With Love"
EIN: Hi Melissa, It's great to talk with you. EIN: First of all, please tell us about the Melissa Quigg story. MQ: Like Karen in the film, I myself have cerebral palsy. I was born into a family of 9 children and grew up in Alberta, Canada. Our home was about an hour away from where Touched By Love was shot. As a child I was fully integrated into classes in a mainstream school and I went on to get my Masters Degree in English Literature at university. I have lived all of my life at home in Canada. EIN: And what are you doing in 2009? MQ: Since finishing my Masters in 2004 I've been keeping busy with various things. I try to keep up with what people are doing and thinking. I like going to the movies and exploring the Internet, in fact, that's how I found EIN. EIN: Melissa, Touched By Love. How did you get involved with the film? MQ: In 1977-78 I was attending the Dr Gordon Townsend School in Calgary. This was the school featured in the movie. In reality it was a day school for handicapped children, not a residential school as portrayed in Touched By Love. Children come and go to the school through the day and receive medical treatment. Anyway, they were casting for the movie and Michael Viner, the producer, liked my casting interview....he found it amusing that I kept asking him if he knew Miss Piggy and Kermit the frog.......and I was cast! He just enjoyed my personality. EIN: How long has the school been operating? MQ: I believe it was established in 1962. EIN: Was your experience at the school a positive one? MQ: Sometimes. Because so many of the children were dying, it could be hard. I remember also that a lot of the time the focus wasn't on education, but life skill classes on things like photography. EIN: You appear in several scenes throughout Touched By Love. What do you remember about making the film? MQ: It was a wonderful experience that I will never ever, ever forget! What I vividly remember was the MAGIC of Hollywood. The first few days you really noticed the cameras but then after a while you would forget they were there. I was there for thirteen weeks which was a longer time than many of the kids in the film. They were sent home in stages but my role was written in throughout the movie so I had to be there longer in order to film all of my scenes. You won't know it, but in my first scene where I'm hugging John Amos when Lena Canada arrives at the school, the main reason I'm hugging John so tight is that it was freezing and raining. In the scene the reason it looks so sunny is because of all the lights! You know the scene where Margaret (EIN note: popular character actor, Mary Wickes) and Karen blow out the candles using breath control. Well my brother used to do that scene with me over and over using a Bic lighter. I am in several scenes ,but I only have one scene in which I speak. I did film more scenes in which I spoke but sadly they ended up on the cutting room floor. EIN: What was like on the set? MQ: We had fourteen hour days!! that was tough for me as a 7 year old. But it was a wonderful experience. And it was fun. You know the little boy in the film who spits out the pea soup. Well he was constantly irking the director. He would always yell "Cut" and the cameramen would stop filming. And the director would look around and the boy would go "No, it wasn't me. Who was it?" It was really funny. EIN: Touched By Love had a Hollywood cast, many of whom were very well known on television and of course Deborah Raffin who played Lena Canada was a major film star at the time, and Diane Lane would go on to become one of today's biggest stars in Hollywood. What do you remember about them? MQ: That's a really interesting question. John Amos was really cool! And I actually formed a very close friendship with both Deborah Raffin and Michael Viner (Producer) and stayed in contact with them until 1992 when I moved to my current residence. About a year after I made the movie I decided to spend some of my "Hollywood" money, so I wrote Michael a letter that I was coming to California to go to Disneyland. One day I was playing like all kids do when my mother called out, "Melissa, Michael's on the phone......he wants to talk to you." He had called me from LA and he told me he wanted me to come to his house and have lunch when I was in town. He arranged to pick me up at the airport and I had a tour guide at Disneyland. It was cool! Anyway I wrote to Michael and Deborah for quite a few years and it was only when I moved that we lost contact. I've tried to contact them since but I haven't been able to locate them. If I could find them again that would be great. EIN: What do you remember about Diane Lane? MQ: Well, because she was a young actress studying her craft, she spent a lot of time with the older kids. She had to learn a lot about cerebral palsy, what it is, and get down all the idiosyncrasies. She didn't have a lot of time to socialise, as it were. EIN: The scenery in the film was wonderful. And you lived one hour away! MQ: I still do. Yes. It was a magical place in winter. EIN: Touched By Love was filmed at the school? MQ: Well actually, what they did was, construct a school set for filming. Our school was somewhere else, still in Calgary. EIN: Did you form any friendships with the other children in the movie? MQ: Yes, I knew most of them already. There were around 41 of us at the school. I was particularly friendly with one of the older kids. As far as I know there's only one of us still living. They were mostly terminally ill. But I am not! The young boy who played Topper (Clive Shalom) - he was the only one of us who was credited with his character name. He died about a year after the film was made. An interesting thing was that his parents in the movie were his actual parents. The rest of us had actors playing our parents. So in the scene where the parents bring presents for the kids, it wasn't my real mother. EIN: What about the teachers at the school. Many of them appeared in Touched By Love. What are memories of them? MQ: The teachers were very compassionate. During the making of the movie they were really part-time care givers. There were like 4 of us in a hotel room and the teachers (nurses) would take care of us. And they'd give us a bath and put us to bed after a long day of shooting, things like that. "Oh, I just spent the most interesting week with Melissa. It was like spending a week with an adult." Because I had so many siblings....5 of them were home at the time, my vocabulary was so advanced and I could hold full adult conversations at a young age. It surprised a lot of the teachers. EIN: The movie is a real tearjerker. MQ: Yes it is. I remember the premiere of the movie we had at the school. My brothers (who are softies) were running to the bathroom to get paper towels. They couldn't control their tears! EIN: Melissa, did you know about Elvis before you made the film? MQ: Oh yes! My sister-in-law was a major Elvis freak. I remember the day Elvis died in August 1977 she was just hysterical. But before this we used to listen to his music all the time. And of course, when we were making the movie we listened to Elvis all the time. By the end of shooting you either loved or hated his songs. But I was a fan. EIN: What is your favourite Elvis movie? MQ: Probably Viva Las Vegas with Ann-Margret. EIN: And your favourite Elvis song? EIN: Melissa, have you read the book, To Elvis, With Love, on which the movie was based? MQ: When I made the film I was very young. But of course when I got older I wanted to read the book but by that time it was out of print. I'd love to find a copy one day. EIN: Did you ever meet Lena Canada? MQ: No. She is part of the folklore of the film. We knew she existed but we never met her. EIN: Do you know how old was Lena when she cared for Karen? 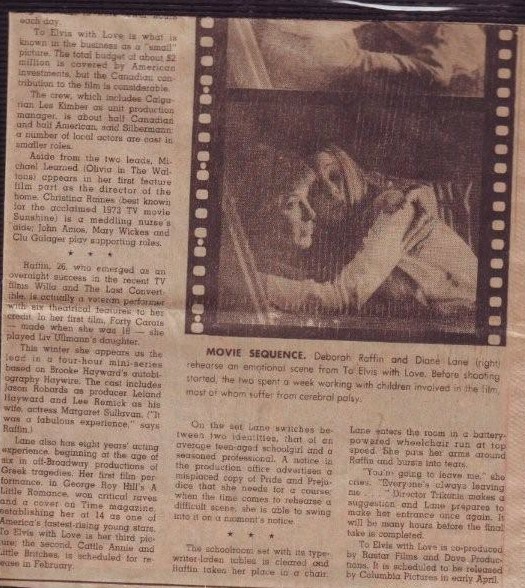 MQ: According to the clippings in my scrapbook, Deborah Raffin was in her 20's when she made the film. But I don't really know if Lena Canada was around the same age or older. When she made the movie, Deborah was a really hot star at that time. She'd just come off Willa and The Last Convertible and other movies. You don't see much of Deborah today as she's doing a lot of producing. EIN: Melissa, how long is it since you've watched Touched By Love? MQ: Would you believe it was only about 12 hours ago! Knowing we were going to be doing the interview I found my copy and decided to re-watch it. EIN: Have you heard anything about a possible release of the movie on DVD? MQ: The rights to Touched By Love are held by Dove Productions and it was released on video by Sony. And it took a long time to be released. The movie was made in 1978 and released theatrically in 1980 at the same time as The Elephant Man. It didn't see a video release in North America until 1987. I haven't heard anything about a DVD release and I think it may not happen unless all the fans on the Internet and in the fan clubs push for it. EIN: Why do you think Touched By Love has not gained a wider audience? MQ: I think it suffered by being released at exactly the same time as the Oscar winning movie, The Elephant Man which also had a strong emotional element to it. If they'd released it in 1979 closer to when it was made I think it would have done better. But they couldn't as there were post production problems. EIN: Melissa, you have cerebral palsy yourself. What has been your biggest challenge in life? MQ: Well, actually it hasn't been the cerebral palsy. It was getting my Masters, because I had to, and still do periodically, use voice recognition technology. It was really hard work. In the early days you had to dictate one word at a time, but thankfully today you can dictate a whole sentence at a time. EIN: What does the future hold for Melissa Quigg? MQ: Well, my health is good and I'd like to develop an Internet research company or something like that. I want something where I can work from home and help people. EIN: Melissa, before we end the interview is there anything else you would like to say? 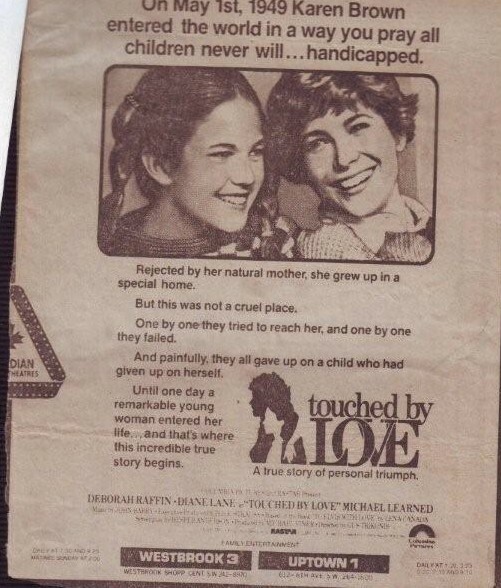 MQ: I'd just like to say that Touched By Love is a film that I think was harshly overlooked, including in Diane Lane's catalog. She is a wonderful actress, but Touched By Love is not one of her movies that gets attention. I don't know why but it is a great film and I hope a lot of younger Elvis fans get the chance to see it. Read EIN's book review of "Touched By Love"
Would you like to see "Touched By Love" released on DVD? Joe Massaro: Touched by love was a very moving story of love and compassion. I was very moved by this movie and the love of Lena Canada for this unfortunate girl moved me to tears. I also applaud Elvis for his concern and compassion for Karen. I worked for many years with handicapped people and know what it is like. 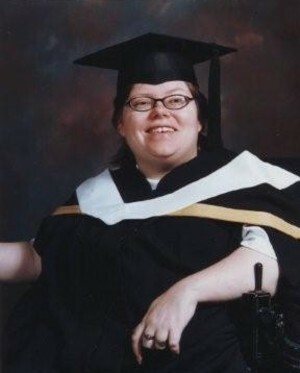 I myself have a disability and can relate to the people that have them. God bless Diane for playing a good part and Lena for her work with the disabled. Maria: Touched By Love was such a moving, beautiful movie. It is wonderful to hear that Melissa is doing so well today. Thank you for another great interview. Jenny Harrison: Loved your interview with Melissa Quigg. I cried and cried the first time I watched this film. I have tried for a long time to get a copy of it but no luck yet. Fingers crossed for a DVD release soon. Sarah Adamson (UK): Thank you for a great interview with Melissa Quigg. I had forgotten about Touched By Love and Melissa's interview brought back some great memories. Frank & Jill (Lancs): We are amazed at how EIN continues to publish very interesting interviews and articles. You really live up to your middle name! We have never seen Touched By Love although we have read the book it is based on many times. It shows what Elvis was all about, caring for his fans and going out of his way to make sure someone less fortunate than most had a brighter life which was sadly cut all too short. Tommy Watkins: Great movie , one of the best of alltime, shows what real love and compassion is all about, need more movies that can truly make people care and understand about , special people in this world that are truly presious! Megan Lintern: Watched this film over and over as a child, would really love to see it and own it on DVD, why can't I buy it??? Brian Quinn: I think this film is really touching and deserves to be released on DVD. Shane McDonagh (USA): PLEASE release Touched By Love on DVD. VHS copies are highly sought after and a DVD would be a money maker.